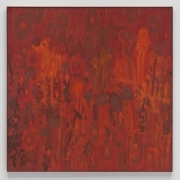 42 1/2 x 32 in. 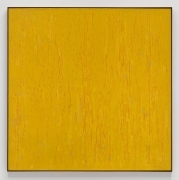 24 1/2 x 20 in. 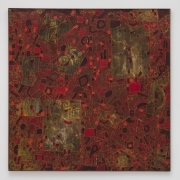 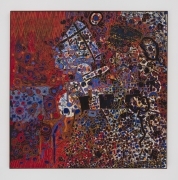 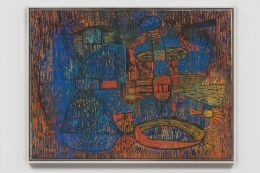 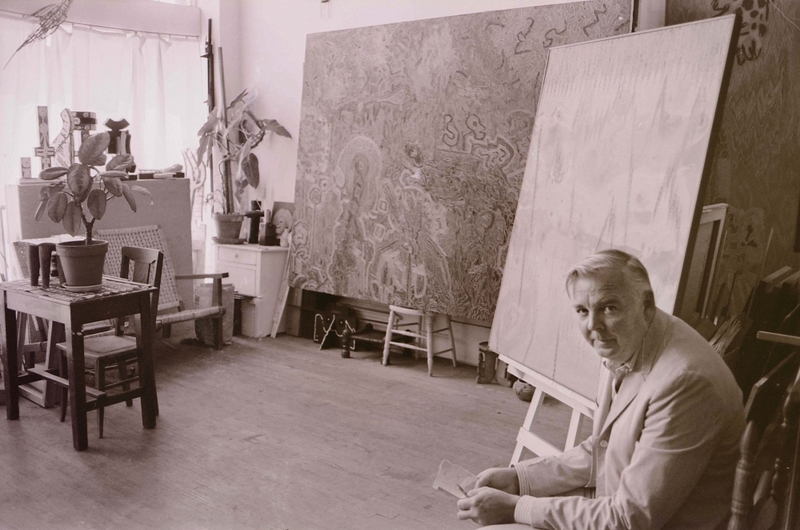 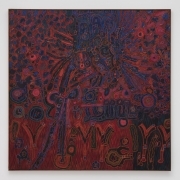 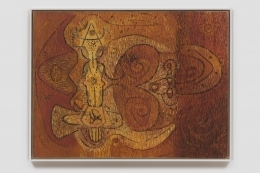 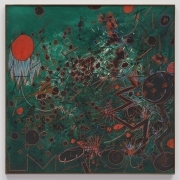 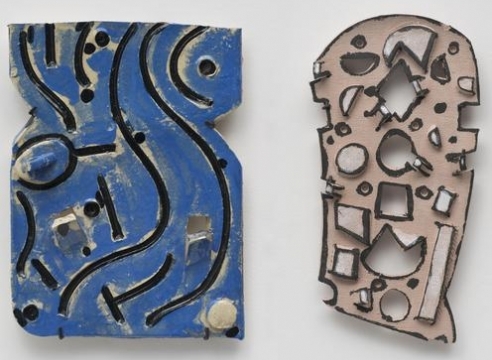 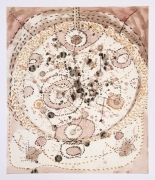 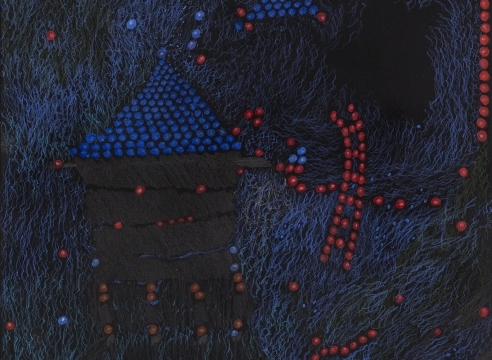 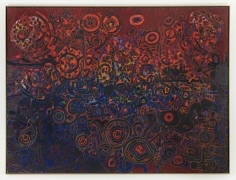 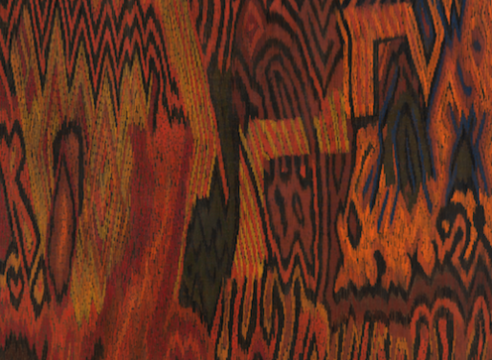 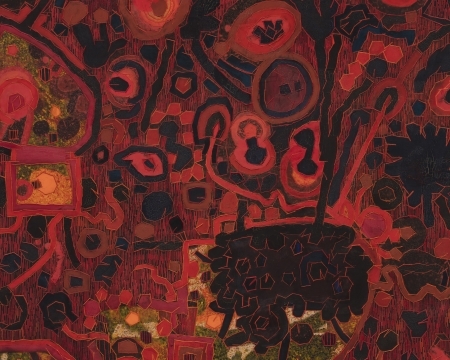 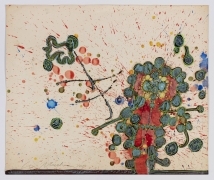 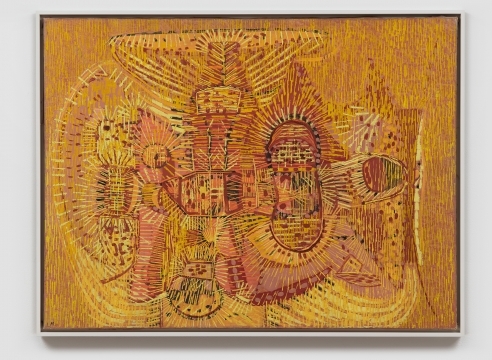 The late California artist Lee Mullican’s paintings are a uniquely West Coast exploration into abstraction; one that is grounded in content, full of mysticism and connections to the transcendent. 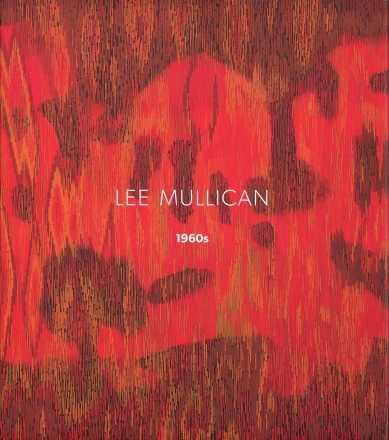 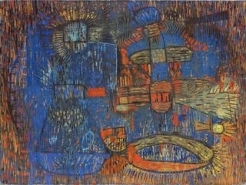 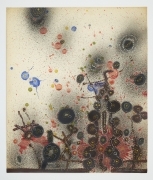 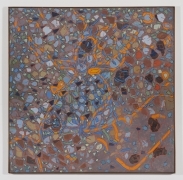 Mullican describes, “We were involved with a kind of meditation, and for me this had a great deal to do with the study of nature, and the study of pattern…We were dealing with art as a way of meditation.” This outlook was in contrast to the heroic, action-driven work being made by his contemporaries, the New York School of Abstract Expressionists, on the East Coast. 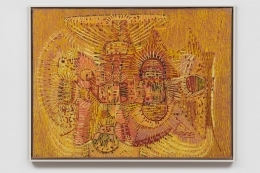 Always a seeker, Mullican culled influences from a wide range including his job as a topographer during WWII from which he developed the mapmaker’s bird’s-eye perspective, to Surrealism’s automatism, to Zen Buddism and later from his studies of the tantric art of India, finding a kinship with the conflation of concepts of outer and inner-space. 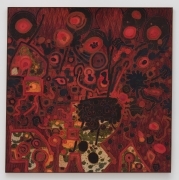 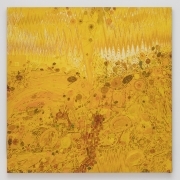 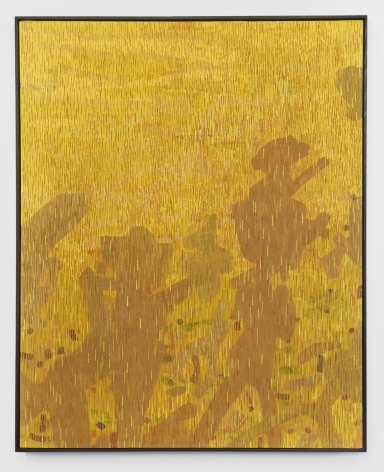 Through a close exploration of nature and the prehistoric past, Mullican focused on finding new meanings through formal problems of composition, color and mark making. 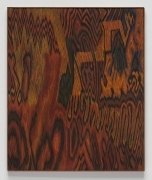 He created a unique method of applying paint to the canvas with the thin edge of a printer’s knife, building up the surface with textured, fine lines--a technique he referred to as striation.